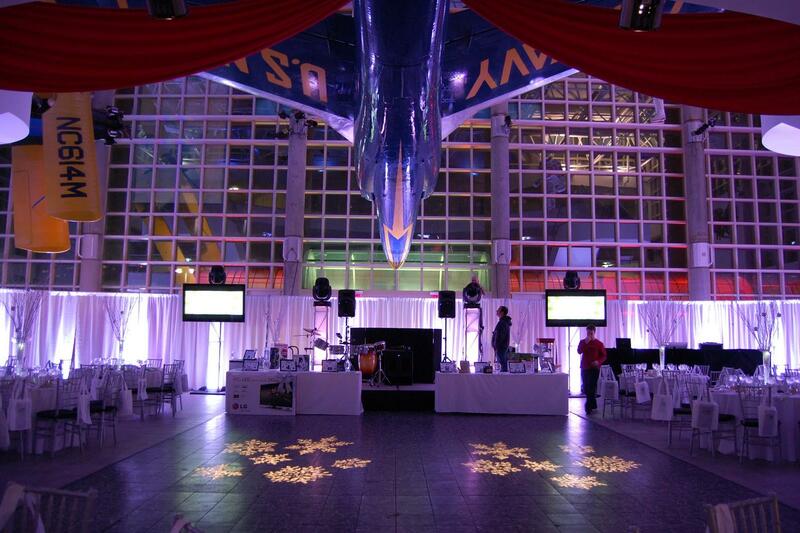 Rent Cradle of Aviation Museum | Corporate Events | Wedding Locations, Event Spaces and Party Venues. The Cradle of Aviation Museum is the most spectacular setting for corporate and social functions on Long Island! What makes us the best venue for your next event? The museum's many unique party spaces. The four-story Reckson Center Atrium, the Red Planet Cafe and museum galleries, are all magnificent backdrops for unique special events. Accommodating from 10 to 10,000 guests, our venue is perfect for corporate holiday parties, corporate fêtes, weddings, bar mitzvahs, bat mitzvahs, expos, intimate celebrations and small dinners, fashion shows and trade shows as well as film and video location shoots. Some of the current expos we host see comfortable visitor traffic in the 5,000-10,000 visitors per day range.